Here’s a perspective you won’t find elsewhere. This site has already discussed Escape Hunt, set to open in London in August. 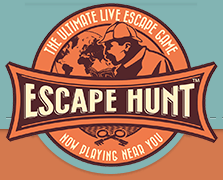 There are already three Escape Hunt sites open, in three different countries, and the locations list details the ambitious expansion plans around the world, particularly over the short-term future. Accordingly, it’s exciting to be able to feature an interview with Paul Bart, the CEO and founder. There are very few brands with a similar global perspective and profile, so Paul’s take on the genre, and his background, will be distinctive. The questions asked by Exit Games are tagged with EG and Paul’s responses with PB below. EG: How did you get into “escape games”, Paul? PB: I was looking for a new business idea a while back and I noticed around a year ago that a few escape games were spring up and doing well in other cities. I decided it was worth looking at how they were being run and what the potential was to expand with them globally. Unfortunately none had a truly global vision and I decided I had to go it alone. Hence The Escape Hunt Experience was founded. EG: What is your background that could possibly relate to this? PB: There are many factors here and, without boring you, let’s just say I have always been fascinated and challenged by puzzles. I was the kid who would stay up late at night in bed trying to figure out how to solve a maths or word puzzle. I also have a good psychology degree specializing in several areas one of which is IQ testing and another is data analysis relating to statistics. Add in many years of corporate training, seven languages and a lot of other eclectic experience and that might tell you why I love what I do so much. EG: How do you see this market now and in say 12 months time? PB: Now it is growing fast and it will continue to do so. There are two main types of players now – larger companies like us of which we are the clear global leader and then local games with one or maybe a send branch only. As time goes on, this will get more blurred with regional players, more different styles and a lot of different ideas. We are clear where we will be in 12 months time – around 100 branches worldwide in our own style but maybe more advanced games as this changes monthly. EG: What is your current personal contribution? PB: I run the business so I have a lot of strategic responsibility. I also oversee all the global marketing and franchisee relations. Most of all I love game design so that takes a big chunk of my time leading our global game design team based here in Bangkok. EG: Which puzzles, games and other artworks have influenced you most over the years in your designs? PB: That is a hard one! I love art – everything from Renaissance to Modern and also sculpture. I also love languages. Add in some darker stuff like the occult and great literature and you can see its very eclectic. Most of all we try very hard to be logical and balance our games. Many game providers don’t see the need for that but it is very important especially as we operate in so many countries with so many languages. EG: If you could predict the future for escape games, what would it be? EG: Do you see it appealing to different markets in different geographies? PB: Of course. It’s a global phenomenon. At our Bangkok branch we have seen nearly 20,000 players and I can’t think of a country not represented. It is a fascinating anthropological study, believe me. Filipinos are so different from Thais, Brits from Americans. They all have fun in different ways. Doing as much corporate work as we do is amazing too as we see global companies bring their worldwide staff – all very different styles! EG: How, in practice, do different countries vary from each other in what their players are looking for? EG: Have you identified any trends as to which nationalities prefer which styles of puzzle? PB: Actually Chris, it is fairly culturally neutral overall. I see no bias for different preferences actually but If you ask me about ability, that is a totally different question. Asians are renowned for their quantitative skills whereas Europeans and Western nations in general are more qualitative. This bears out in game play too but it is also about initiative. Asian players are generally better at solving puzzles once they are “shown the way” if you like whereas western races grasp the idea quicker but then don’t make such good progress in average. It all equals out in the end pretty much and then differences some done to social factors such as assertiveness, cooperation and leadership. It’s a long story; maybe I can answer next time in a specific chat on this point. EG: How do you deal with language issues, particularly in countries where there are a multitude of languages spoken or where tourists are such a high proportion of visitors that you cannot reliably make assumptions about what languages they speak? PB: That’s a great question, Chris. We run both multi-language games and single language depending upon the location. Our Asian branches are multi but London will be single language. It is not always obvious which language either! Phuket will run in English and…. Russian. Not Thai as you would expect. Overall, we adjust for cultural bias and language in our games so language plays a very small role in overall game play. Bangkok is another great example of this. We run in Thai and English but despite even messages in Japanese on our website to say “we do not speak Japanese. These games are only in Thai and English”, such is our popularity amongst Japanese locals in Bangkok and tourists, they still come and speak absolutely not one word of Thai or English. We still have great fun using sign language and they leave with a big smile! EG: Where are you based and how does that allow you to work? EG: What is a typical day for you, Paul? PB: There is no typical day but overall it is around 30% game design, 20% franchisee support, 20% marketing, 20% technical things and 10% on Bangkok branch. EG: What are the most memorable reactions that you have witnessed? PB: I have to say that large groups of Filipinos are the most exuberant when they solve the puzzles and then they all get so happy in a huddle but for me it is the 3-4 occasions where an older player has personally shaken my hand and thanked me for the “best time they have ever had with their grand children”… Really makes all the hard work worthwhile! EG: What has surprised you in the last 12 months? PB: A lot of things but mainly for us how successful we have been and how we have adapted our proposition to all the different cultures and geographies. In Bangkok branch, we also developed a huge corporate following without a single call to a company. They all find us. Singapore has also been so successful only a short time after opening it shows the power of our global brand. EG: What have your years of corporate training experience taught you about how to tailor the experience when you offer corporate events? EG: What would you say to anyone who feels they want to work in this industry? PB: Go for it. It’s a great and exciting place to be. Whether as a game designer, game master or even the administrator, its never a dull moment. There will be courses at universities soon on “Escape Gaming” or as we call it, “Experiential Entertainment”. EG: What misconceptions about the industry would you most like to dispel? PB: I think all the press and feedback is positive. The only things I would say that are unfair are the criticisms of games at number one on TripAdvisor. We have been number one in Bangkok since a month after opening and we deserve it as we offer an extremely high level of satisfaction. Sure, we are not a temple, but maybe we offer better service and satisfaction! I guess the only other point is that the industry is not only for geeks as is often assumed. We are a major international company operating in many countries so its hardly geeky anymore – no more geeky than working for Apple, I guess! Thank you for your time, Chris, and letting me tell my story! For all those who want to be part of our future, we still have franchise opportunities available in many locations. For those who want to work with us, send us your resume via our website. We are hiring in all sorts of areas! Thanks so much for that, Paul! This site very much hopes to feature more interviews in future as a way to get a variety of perspectives from behind the scenes. It also considerably adds to anticipation for the London opening, just a few months away. In the last week, a successful property speculator has been hiding envelopes with moderate quantities of cash around cities near the west coast of the United States, posting pictures of the locations and not-very-cryptic clues to their whereabouts to their Twitter account. There is something of a “pay it forward” motif, though of course this cannot be enforced. Apparently it has spawned imitators; most relevantly for us, Hidden Cash UK has made three drops in the North in two days. Treasure hunts themselves are far older; the parallels to geocaching are obvious, and that is so well-known that it need not be explained. Arguably Hidden Cash has a closer connection to its GPS-less, clue-heavier predecessor, letterboxing, which has been dated back to 1854. Escape in Edinburgh are holding their “The Escape Games” promotion between Friday (er, tomorrow) and Sunday. 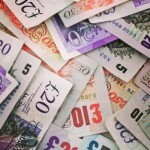 Teams of 3 or 4 can pay just £30/team (half price!) to try to escape either of the two identically-dressed rooms. The fastest teams win free games plus T-shirts or mouse mats. Whether you win or not, Escape have posted a teaser for their Dark Room set to open soon, with another message suggesting there may be a prison theme. In other “new room” news, Breakout Manchester (who are struggling with their web site right now, but are taking bookings by e-mail) posted a tweet saying that they will open their second room, Virus, from Friday 6th June. Looking forward to catching the bug! Escap3d of Belfast say that “Our Great Challenge is back! If you get through the puzzles with your own work and open the door within the allocated 60 minutes, you can invite a team of friends for free or we pay you back the admission.” Sounds like exactly the right sort of fighting talk aimed towards purists with a no-clue disposition. Clue HQ of Warrington have posted rather a fun teaser video, an early construction photo and job ads. The site says “We’re currently gearing up for opening towards the end of June 2014” so not long to wait now. The site has previously pointed to discussion of exit games on episode 41 of the The Cultures podcast; the topic is discussed again at the start of the new episode 45 as another member of the team tries a game and reports their experiences. I won’t spoil whether they had a good time or not but you can guess! This entry might consume a little of the site’s “near-topic” credit, but the game it discusses is sufficiently close to being on-topic and sufficiently interesting that you’ll hopefully enjoy reading about it anyway. Since 2003, True Dungeon has been an annual feature of the giant GenCon tabletop gaming convention that happens annual in August(-ish) in Indianapolis. It is a swords-and-sorcery-themed live action game that sees teams of players form an adventuring party to defeat a number of thematic challenges placed in their way. On a matter of semantics, many – most? – consider it to be a slightly different kind of game to a role-playing game as the players are not actually required to adopt characters, though players do adopt character classes, powers and capabilities familiar from the genre. It would not be too perverse a misinterpretation to consider the overarching game to be a series of seven consecutive, linked, 12-minute exit games with unusual mechanics. Traditionally, the same story has been offered to players in two slightly different formats. Some people like to emphasise the simulated combat encounters, and these can be dialed up slightly. Alternatively, it is possible to play through the same story with less of an emphasis on the combat and more of an emphasis on puzzles. To an extent these take the form of the riddle trope found in fantasy stories; to an extent, some of these can be quite abstract. Possibly the best way to get a feel for them is the images gallery from over the years. Some of the brainteasers do feel rather familiar, though they need to be put in proper historical context. For instance, the challenge that is effectively a 7×7 irregular word sudoku was featured long enough ago that it would have pretty accurately blended unfamiliarity with accessibility at the time. The game does feature plenty of physical aspects by way of attempting to trigger as many of the senses as possible. The rooms contain actors and reportedly spectacular animatronic creatures to this regard, arguably drawing from the US haunted house tradition. (Sadly for me, they have incorporated sufficiently many aspects of this haunted house experience in the past that I would happen not to feel quite safe trusting the game’s sense of taste.) A very considerable budget goes into making the game happen; participation is priced at $48 per player for a two-hour experience (of which, essentially, 84 minutes is the live game) which is probably on par with most US exit game tickets, on a minute-by-minute basis, these days. There are multiple stories and multiple difficulty levels offered each year, so people can and do find it worthwhile to play several times over the four days of the con. Additionally, some players choose to show patronage by purchasing real-world tokens which offer in-game advantages. While this trading-card-game-like aspect has flourished over the years with a thriving secondary market, there is a fine balance to keep the entirety of the story accessible and enjoyable for those who choose not to participate. The forums suggest that the most dedicated players devote as much passion and resources to this single game as they might to a trading card game over the course of the year; these optional purchases contribute, I get the impression, a sum of the order of tens of thousands of dollars per year towards the cost of making it all happen. Being played in one place globally for four days per year, this is something of a niche game. Nevertheless, most of the players who like it really, really like it; almost 8,000 tickets became available just over a week ago, 93% of them were sold within 32 hours and you might have to scrabble round to find a spare ticket, possibly by resale, even now. The existence of True Dungeon makes the gaming world a richer place. Please find below an updated version of a table which details the number of teams on the scoreboard for each city in each edition of the DASH puzzle hunt to date. 1) Errors and omissions excepted, with my apologies in advance. The Minneapolis recast figures come from the organisers by private e-mail. 2) The numbers are drawn from the scoreboards and may not reflect teams that participate but do not make the scoreboard for whatever reason, or other infelicities. DASH 1 does not have a public scoreboard on the web site and thus “Y” represents the hunt having happened there with an unknown number of participants. When there are pluses, the number before the first plus reflects the number of teams on the experienced track, the number after the first plus reflects the number of teams on the “new players” track (DASH 5 and 6), and the number after the second plus reflects the number of teams on the junior track (DASH 6). 4) It’s not a competition to see whose DASH can be the largest; all DASH organiser teams are glorious, generous paragons of virtue, whether their event had one team or 70+, and the community at large thanks them all for the time and effort that they put in. 5) I think it’s fair to say that DASH 6 was a little troubled, with both Seattle and Portland briefly removed from the list of participating cities; thankfully, both cities eventually found local Game Control teams, and I’m sure everyone is particularly grateful there. There was discussion of locations in Phoenix, AZ and Pittsburgh, PA, but sadly neither came to fruition; thanks to people who put in the effort there, all the same. 6) Again, it probably reflects well on the decision to have parallel “experienced” and “newcomer” tracks at DASH 5 and DASH 6 that every city had at least one team playing each track. Indeed, the number of teams on the “new players” track rose from 53 to 101, further justifying its purpose. The junior track may take a little longer to gain traction. 8) There are definitely several other countries to which DASH might expand in the future: given that Sydney and Melbourne have famous and popular puzzle hunts, there’s no reason why there couldn’t be DASH locations there. Closer to the US, Snoutcast recently had Stacy Costa from the University of Toronto, so clearly there is puzzle interest in Canada. Every other English-speaking country is a possibility; maybe even non-Anglophone major world cities with significant expat communities could host DASH some day. This is quite cute. Last summer, there was a horror film, The Purge, based on the dystopian future principle that each year there is a 12-hour event referred to as the titular purge where all crime, even murder, is legal. The film covers those who wish to bring their violent tendencies out during those 12 hours and also those who want to hide away and keep safe during those 12 hours. This summer sees a sequel, The Purge: Anarchy, set to be released on Friday 18th July. 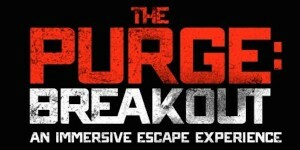 That weekend, and each of the six previous weekends, a different city in the US will be hosting an event called The Purge: Breakout. This is, effectively, a pop-up exit game with many of the trimmings of a haunted house. The game goes on tour in four articulated lorries. The game is for teams of exactly six (smaller parties will be merged as necessary) and tickets are US$20 per head plus tax. It’s Purge Night, and your group is being held captive by a demented torturer… with only 30 minutes before the start of The Purge. Trapped in his house, groups must work together—solving a series of increasingly complicated mind-bending puzzles and clues—to escape captivity and survive THE PURGE. Based on popular escape room adventures taking the U.S. and Asia by storm, the experience is like a real life video game. Visitors will be completely immersed into a horror experience like no other. Horror is a genre that is an absolute turn-off for me, but there are many people for whom it is a turn-on. In a market where there are, say, ten or twenty different exit game experiences available (i.e. twenty different rooms, not necessarily twenty sites) then perhaps there is the room to pick horror as a niche, and I can imagine a site that had two or three different horror games from which to choose – and horror fans choosing to play them all. The haunted house tradition is also well-established in the US, in a way that it is not yet the case in the UK… but the UK is certainly moving in that direction. If this game is set to come to the UK as well as the US, this site will let you know. It’s also really interesting to see a movie promotion in the form of a pop-up exit room experience. Some movies have had Alternate Reality Games as promotional tools in the past; perhaps there are parallels to be drawn. The game runs for thirty days, perhaps 20-30 teams per day, so only a few thousand people will get to take part. Were there really more than a few thousand active participants in any other than a very few of the largest ARGs, though? This promotion looks well-judged to live long in the memory of those who know they like that sort of thing. A follow-up question to that of how popular exit games are is the issue of how to get players to come back for more, for repeat business may well play a significant part in keeping a site thriving over time. It may be easier to convince someone to play an exit game if they know what one is from having played one already. Some sites offer more than one different room, which seems likely to be a lucrative move. Perhaps someone who enjoys one room at a site can be convinced that another room at the same site is likely to be of a similarly high quality; there will always be people for whom the novelty of playing an exit game once is sufficient, but there will also always be enthusiasts who are keen to get the joy of an exit game as many times as possible. Many sites say that they change their rooms from time to time, though this represents a considerable investment. It has also been suggested that it’s difficult to tell much of a story within an hour. It’s tempting to wonder – asking in the context of a theorist, rather than someone with experience in the business – whether it might be possible to run a campaign of connected exit room games, at a single site, telling an extended story within the same universe. If someone enjoys a game, they might well be tempted to go back for the next episode, and the episode after that, and so on. Theoretically, it might even possible to permit the players to affect their ongoing story, with choices they make when playing an early episode having an effect on their experience in later episodes. 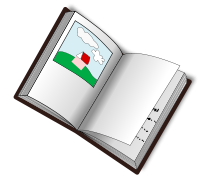 One model has people, when they book to play, specifying if they have played any episodes in the series previously, then the room is dressed in a slightly different way according to which part of the story happens next. This requires great communication between the players and the room dresser, for if players miscommunicate their needs then they may end up playing the wrong game (and possibly feeling aggrieved about it, even if it’s their own fault). Another downside is that it would probably be impractical to have different physical attributes of the room for each episode, unless a much bigger physical room is built and not all of it is used in each episode. This seems likely to be needlessly expensive. Perhaps a workable solution would be to have several story episodes in a connected universe that can be played in any order, or story developments that can be caught up through narrative as well as through gameplay. (It’s easy to imagine a team of four coming for the first episode, then only three of them coming for the second episode, then a slightly different four for the third episode, and so on.) To be fair, this seems to be the approach taken by at least one site already. How popular are exit games? An open question, possibly of interest, asks just how popular the exit games of the UK and Ireland are. This site has attempted to estimate the number of people who have ever played any of the exit games that we cover, and will attempt to update its estimates over time. The alpha-version methodology this site proposes to use, and criticism is most welcome, is to attempt to estimate the number of teams that have played over time at each exit game site in the UK and Ireland, then from there to estimate the number of players. Estimating the number of teams relies on a number of sources of data. Some sites have quoted numbers of teams or players having taken part, which may or may not be taken at face value. At least one site appears to have past booking information still available, which may not be deliberate but certainly is extremely helpful (though, again, may not represent the full picture, depending on how phone bookings interlace with online ones). As for the rest, the estimate (stress, estimate!) can be based on the number of rooms at each site, the apparent occupancy rate of each room according to booking data, but also data such as social media data regarding posts of game results, alongside more nebulous data (treated rather more lightly) such as numbers of Facebook likes and TripAdvisor reviews. This is not a rigorous approach but may be adequate for an extremely rough estimate. After estimating the number of teams, we can attempt to estimate a number of players. It seems reasonable to take pictures posted to social media as a reasonably representative sample of actual team sizes at that site, noting that different sites (and even different games at a site) have different rules about the number of players per team. From there, it is worth applying a correcting factor to take account of the proportion of players who will have played more than one exit game, whether two (or more!) rooms at the same site, or at two (or more!) different sites. Possibly the lessons to be drawn from this are that the two London sites appear to be doing excellent business, particularly with their recent expansions to 4 and 3 rooms (and both have further expansions soon planned! ), and that there is not yet the evidence to support any of the sites outside London doing nearly so well – though only one site outside London has yet reached its first birthday, and surely the business models have not relied on the sites being instant hits. It can probably also be interpreted that the existing sites have only scratched the surface of potential players, and there are perhaps between a hundred and a thousand times as many potential players as yet-achieved players. This site estimates the number of people to have played an exit game in the UK and Ireland by the end of April 2014 to be around 33,000. This site is not at all confident in this estimate, to the point where it could well be one third of that, or could be three times as high. That’s not too inconvenient – this site can at least be confident in saying “probably in the tens of thousands”! Yesterday, this site discussed the upcoming UK Puzzle Championship, which starts at midday (UK time) today and runs through to the end of Monday. Looking further around the UK Puzzle Association site – and then going a little further and looking “underneath the hood” – there is (apparently an early version of) a UK puzzling “Hall of Fame” page, which is a lovely piece of work. There are two areas to focus on: first, mention of the results of the past three years of the UK Puzzle Championship. James McGowan won the first two in 2011 and 2012, with Neil Zussman pipping him by 26 puzzles to 25 in 2013. (Neil also had the distinction of being the top global solver out of the 164 entrants from around the world, taking some extremely accomplished names with his accuracy and speed.) Secondly, the chart of UK team members at the World Puzzle Championships is extremely interesting. It still needs a little interpretation; for instance, I am listed with a position in 2004 despite being a non-playing captain, earning my position for solving on a United Nations team – but, on the other hand, that Guardian article I linked to yesterday reminded me that Nick Gardner was captain in 2006 and is yet not listed. Nevertheless, we can use this to create an all-time A-team appearance table for UK team members. (This does give credit for appearances in 2002, where there were two UK team members attending but no UK A-team as such.) Credit, also, to Tim Peeters’ site for information about the UK team in 1996. 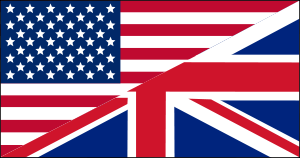 A sharp fall in UK participation in the US Puzzle Championships in recent years, but this can be explained in part by the rise in emphasis on the UK Puzzle Championships, the USPC’s fixed timeslot, the shift in selection practices for the UK team for the World Puzzle Championship and a fall in the global participation in the US Puzzle Championships. Another interpretation is that there are dozens and dozens of past UK puzzle championship participants who have been lost to time; surely a challenge for the UK infrastructure is to get them involved once again. The highlight is undoubtedly the 2½-hour UK Puzzle Championship; start at any point after midday on Friday, so long as you finish by the end of Monday. As you’d expect for a UK tournament, these are based on the UK time zone. Score as many points as possible by answering some or all of the 26 puzzles. The instruction booklet is available so you can see what sorts of puzzles you’ll be asked in advance; perhaps there’s something of a focus on number puzzles, word puzzles and loop puzzles. The UK are also holding their 1½-hour round of the World Puzzle Federation Grand Prix this weekend on a similar timescale. This has 15 puzzles, the first 10 of which are reasonably familiar formats and the last five look slightly more unusual. There are two particularly high-value puzzles in the fifteen, so going for either of them would pose a rather high-variance strategy. As well as the UK holding their annual Puzzle Championship, this weekend also sees India do the same thing. 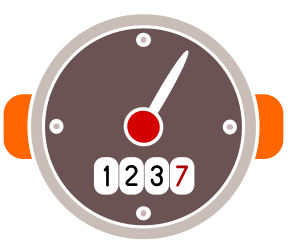 It too is the standard 2½-hour national championship length; while Indian solvers have very little leeway in their timing, global solvers have all weekend to choose their 150-minute solving window. There are 35 puzzles here, though slightly fewer different types. James McGowan has set some of the puzzles here, and also for the UK round of the WPF GP, both of which bode well. Lastly, if you’re up between 6am and 8am UK time on Saturday 24th, there’s the 2-hour Japanese Puzzle Championship, whose 25-puzzle instruction booklet is something of a work of art in interesting variants. Unusually, the 10th, 20th, 30th, 40th… and so on finishers each win an official T-shirt, which is cute! All of these are free to play and open to solvers all around the world. Enjoy!